A negative experience often means the customer goes elsewhere with their business — and often they tell their friends. So each lost customer means more than just their lost business, but it results in lost business from their friends as well. However, research also tells us that if we are able to recover from a poor experience — then customer loyalty actually increases. So if you can turn a negative experience into a positive one — that can lead to loyal customers and increased profits for the company. In this article, we will cover 5 methods for turning a negative into a positive customer service outcome and helping to keep customers in the process. Customer retention is vital. It’s far easier and cheaper to retain customers than to find new ones. 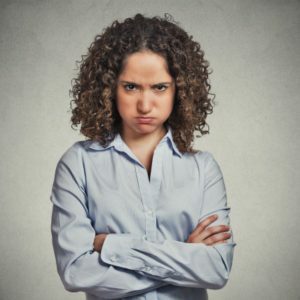 If an employee is confronted with an angry or upset customer, they should let the customer vent to express their frustration. No one is rational when they have pent up anger and emotion. Remind employees that the customer is angry at the company and not them as an individual — they’re simply the person in the position of handling the complaint. If an employee took every complaint personally, they wouldn’t survive long in the job. Once the irate customer has expressed their frustration and calmed down, the employee can ask questions and determine the actual problem. Listen to the real concerns because part of complaint handling is giving the customer the chance to express themselves. Then training can kick in and the problem solving techniques will be put to good use to ensure that whatever the concern, the customer leaves the store satisfied because proper action has been taken to rectify the problem. The employee can diffuse the situation by showing the customer they’re “on their side” and want to help. Sincerity is the key. The customer should feel the employee is there to help instead of arguing or disagreeing with what has been said. Avoid typical phrases such as “it’s company policy” or “I can’t do that” because they’re negative and will only inflame the situation. Calming phrases such as “Can you tell me exactly what happened?” or “I appreciate your frustration and I am here to help” will go a long way towards winning the customer’s trust. Lastly, don’t be afraid to say you are sorry for the way they are feeling or their experience. “I’m sorry to hear about your bad experience — what can we do to make it right” is totally different than apologizing because the employee themselves made a mistake. Customer retention is vital. It’s far easier and cheaper to retain customers than to find new ones. Review the situation objectively. Ask the customer what would satisfy them and determine the best course of action. Talk through different options if there is more than one to choose from and let the customer provide input on what they want to happen. In these situations, it’s critical that the employee can think “outside the box” as not all complaints fall within company policy. However, there are often solutions that can be solved by using guidelines that satisfy the customer’s needs and still allow the employee to follow correct procedures to avoid possible future problems. Once the optimal solution has been determined, the employee should advise the customer what steps need to be taken to implement that solution. It may be easy to do or it could mean a few different steps need to be taken to ensure the problem is rectified completely. It’s essential that your team look for every opportunity to exceed a customer’s expectations. It’s one thing to merely satisfy their current problem but if you can take things a step further, the customer will not only be satisfied but may convert to being a loyal customer because their problem was addressed professionally and promptly. It’s not enough to just put steps in motion to satisfy a customer. It’s vital that those steps be followed up and your team should ensure that everything has been done the way they promised. Actions may need to happen in other departments or places beyond their control and so follow up may be necessary. Contact the customer once everything has been taken care of and verify that they’re satisfied with the final outcome. Express appreciation for bringing their complaint back to your company so you had the opportunity to fix the problem. You should always be looking to go the extra mile for the customer to keep them happy. It may not always work but the effort will often be appreciated. It will help turn the negative experience into a positive one with a hopefully happy ending. Finally, remember to always thank them for their business and for allowing you to help. After all, they are the customer. Great comment Richard, all too often we do what we think is best for our customers — rather than asking them what they want. Often, they actually would be delighted with less than we are prepared tp give.